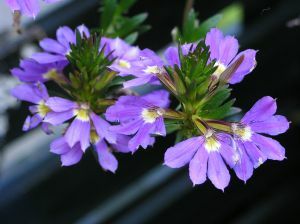 Lobelia Inflata. It is a native of America; where it is much used as medicine, its use having been derived from the Indians. It is recommended for spasmodic Asthma. In small doses it is a good diaphoretic, and expectorant; in large doses, it is antispasmodic, sedative, and emetic. Sometimes it is of extraordinary efficacy in Asthma, and if other prescription's have failed, this has been found efficacious. The tincture is the form in which it is used, which is made by digesting for a few hours two ounces of the dried plant in a pint of diluted spirits of wine. A tea-spoonful taken in water, to be repeated three times a day; or the powder from 4 to 10 grains, beginning with the smallest, and gradually increasing, in plenty of warm water. Always commence with small doses.